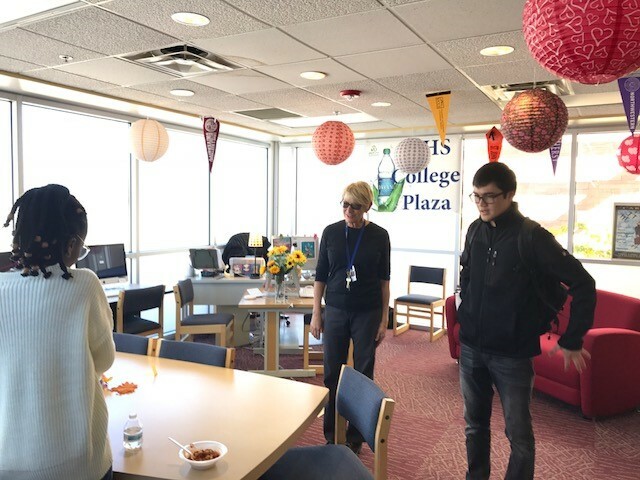 Every Thursday during the fall and spring terms, two or three current students volunteer in in the college counseling center, called The College Plaza, at Santa Fe High. Last Thursday was the launch of the Junior Jump Start program. All high school juniors were invited to attend this lunchtime meeting. 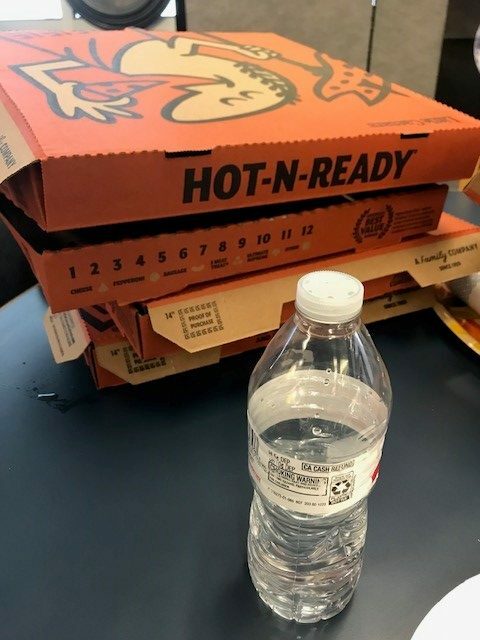 To sweeten the deal, pizza and cookies were provided for everyone! 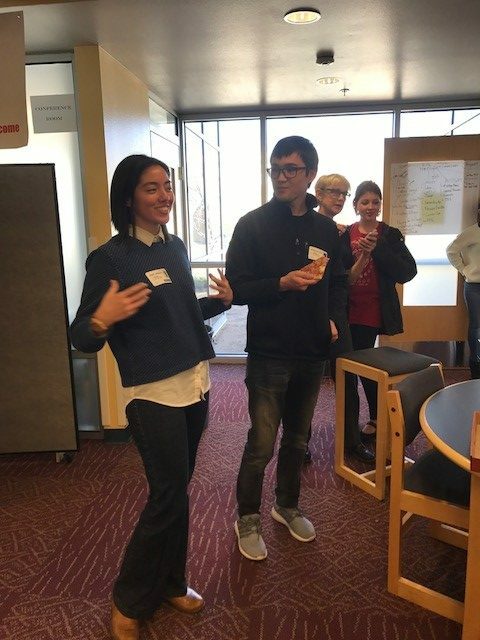 The St. John’s students introduced themselves and helped ask some ice breaker questions to loosen everyone up and bring anxiety levels down. 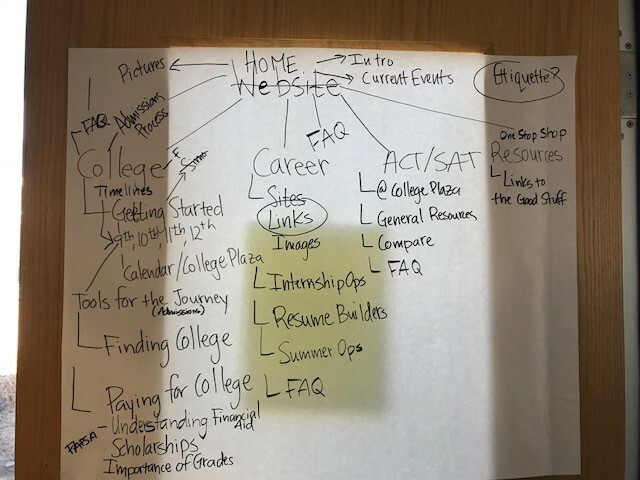 Then there was a short presentation explaining the series of activities and events that will take place to help juniors start college search process. This unique partnership arose from the efforts of our former, now retired, Director of Admissions, Larry Clendenin. He knew that the district was in dire need of some broad college counseling support. Over the course of several years, Larry formed a strong friendship with Missy Gurule, Santa Fe High School’s part-time college counselor. Now every Wednesday and Thursday (11am-2pm), College Plaza is bustling with students, college reps, and chrome books! 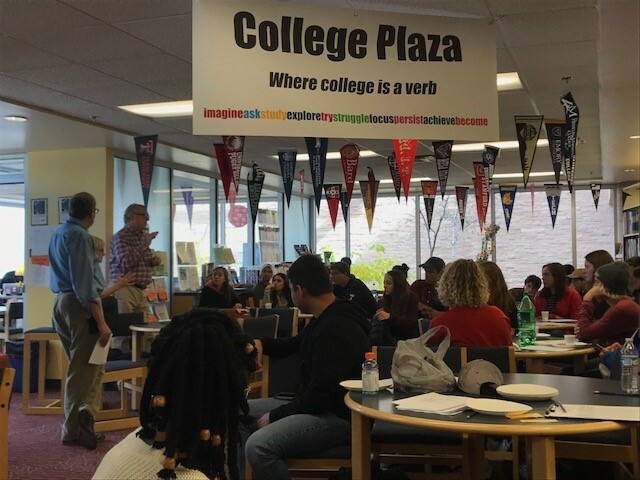 The St. John’s students will be involved in many of the aspects of the college counseling process and they will be working directly with the high school students. Sometimes the support will come in the form of a simple, encouraging conversation. At other times, the support will come in the form of assisting a student with online research about colleges and financial aid. The Johnnies are also being trained to enter data into the school’s tracking system. 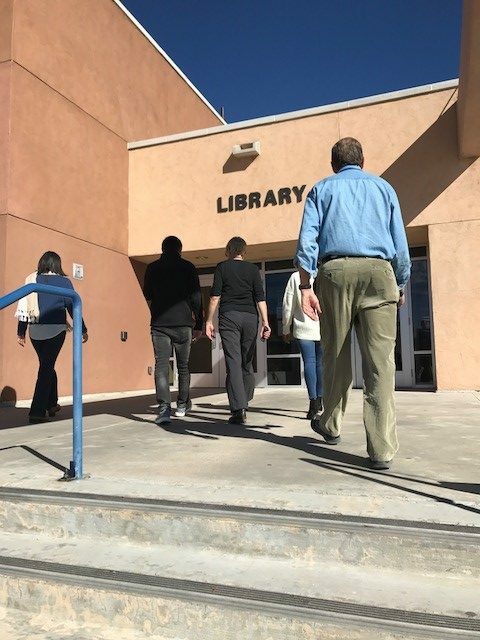 The hope is that having some college-age students in the counseling center will help make the highschoolers feel more comfortable and less intimidated by the whole college search process. For some 16 year olds, talking to a 19 year old can be more engaging and meaningful than talking to someone in their sixties.